Thats really cool! I might actually give this a try some day when i have time :D 5 DUCKS! Broken, permanently. Shows 404 error when run. 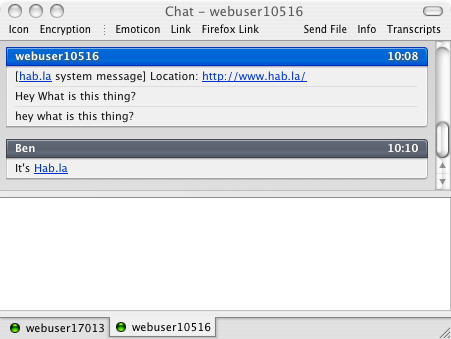 Thanks for sharing, actually, I am thinking to deploy comm100 webchat, but they requires monthly fee. 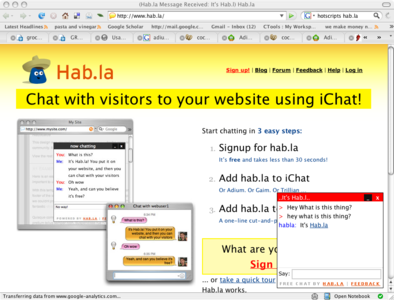 I am looking for free one, which can allow visitors chat with us online.